White Creamware? dish. I am not sure what it was originally for so would like to know. Any ideas of the pottery? 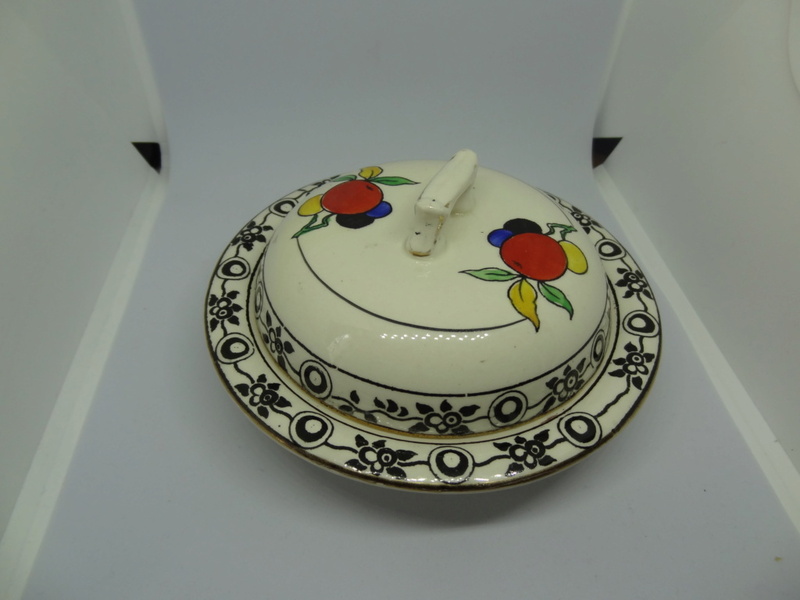 unmarked apart from the handpainted 19 on base of lid. It appears to be hand painted although I will stand to be corrected. Hello, it's most likely a soap dish and should have had a base dish that the part with the hole in sat in, to catch any water etc. 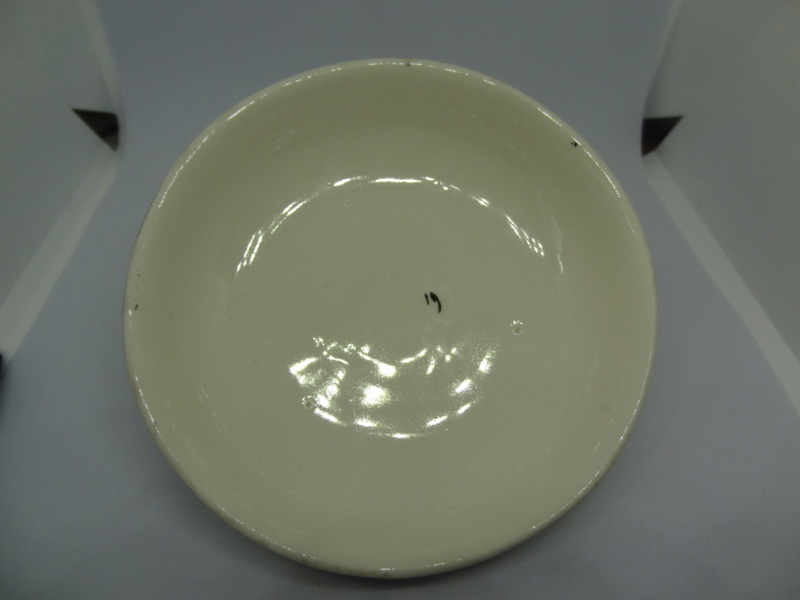 The bottom of the base dish was probably marked with the maker's backstamp. 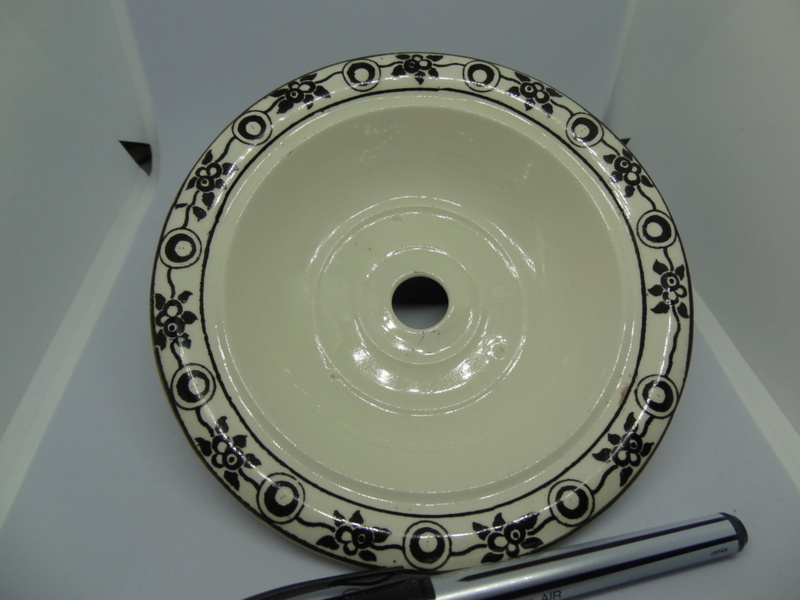 The pattern has been transferred onto the dish and then it has been coloured by hand.